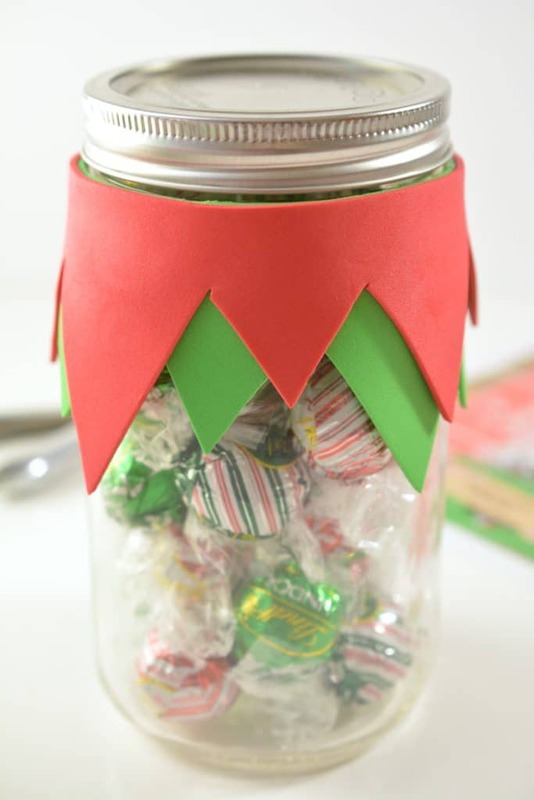 This Elf Candy Jar Gift is the cutest thing I have ever seen. 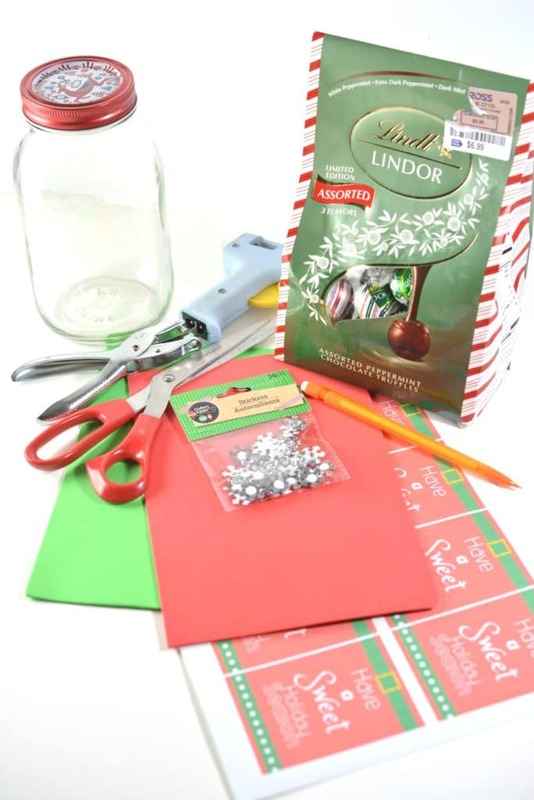 This holiday season I have been working on a lot of holiday gifting ideas that are cute, inexpensive and thoughtful. The magic of holidays can be greatest seen through the eyes of a child. 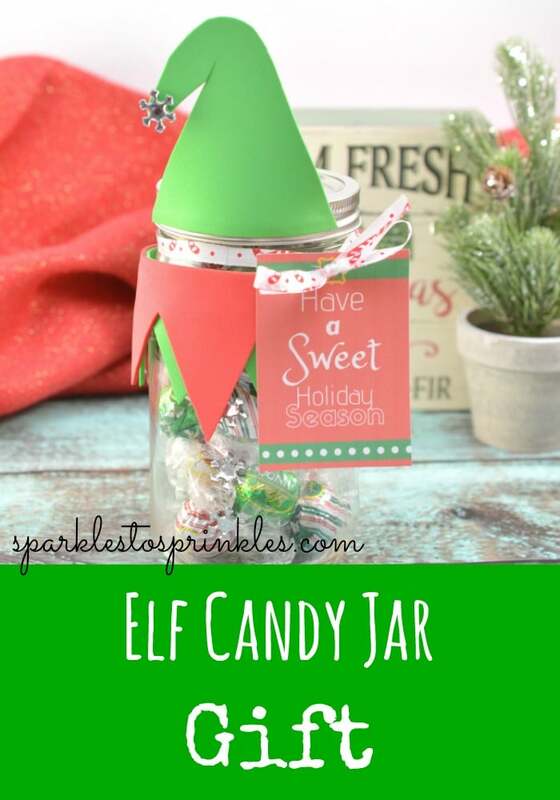 These Elf Candy Jar Gift’s are the perfect teacher gifts, babysitter gifts, holiday party gifts, Grandparent gifts, etc. 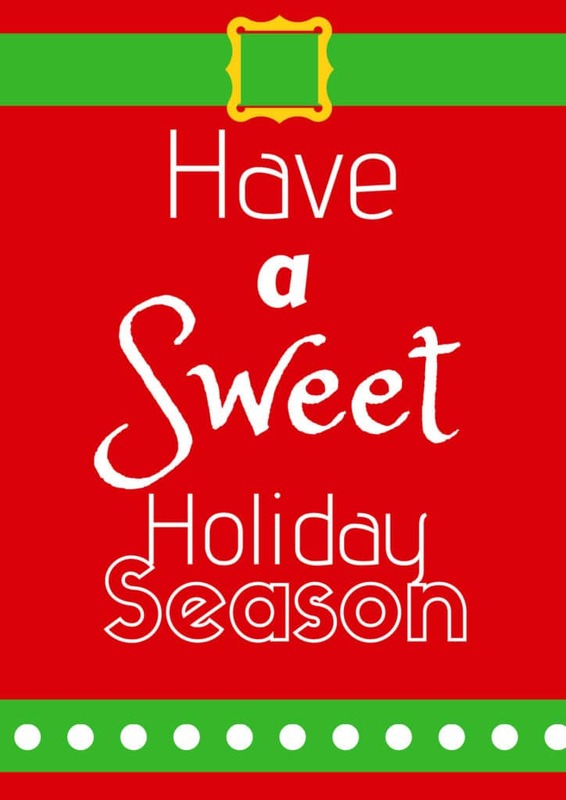 These are the perfect gift for anyone on your list that you would like to share some sweet holiday cheer with. 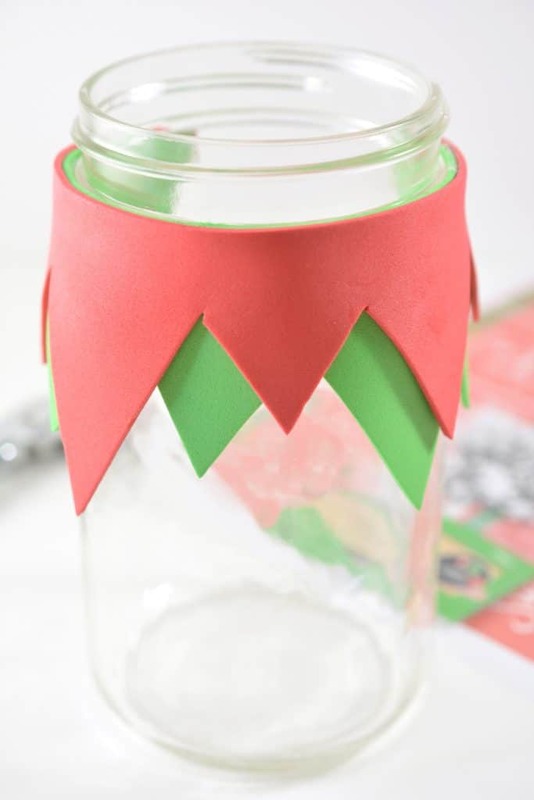 Have your kids help create these adorable jars. Have them help with cutting out the tags (see below to print) which I recommend printing on a nice cardstock. 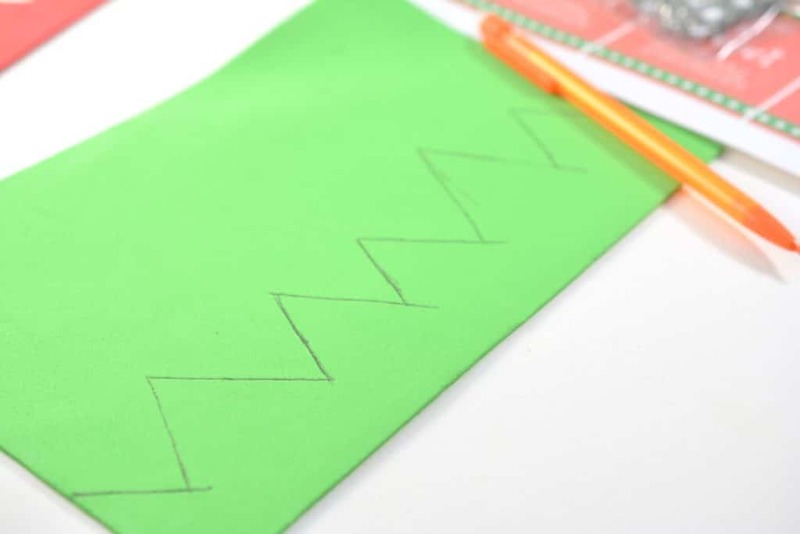 Draw the shape of an Elf’s collar on red craft foam. This will be a series of triangles of different heights. You can see the photo for reference. Cut out the collar from the red craft foam. 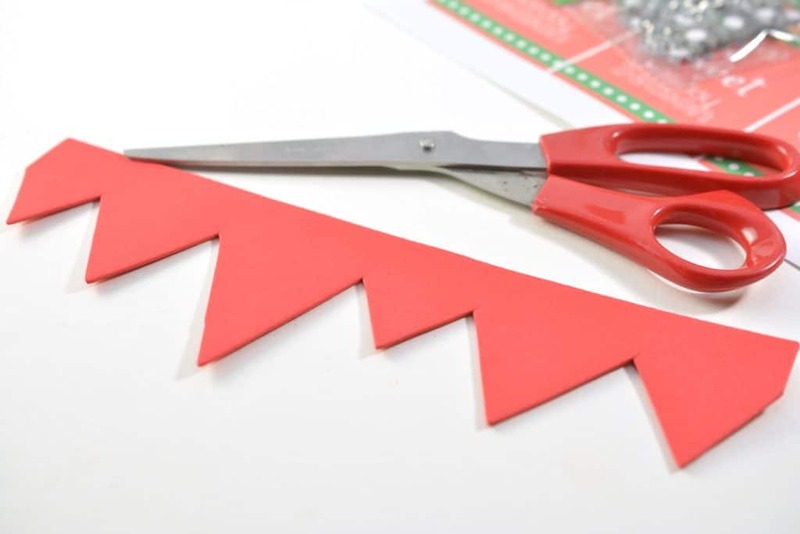 Hold the red collar shape that you just cut out over a piece of green craft foam. 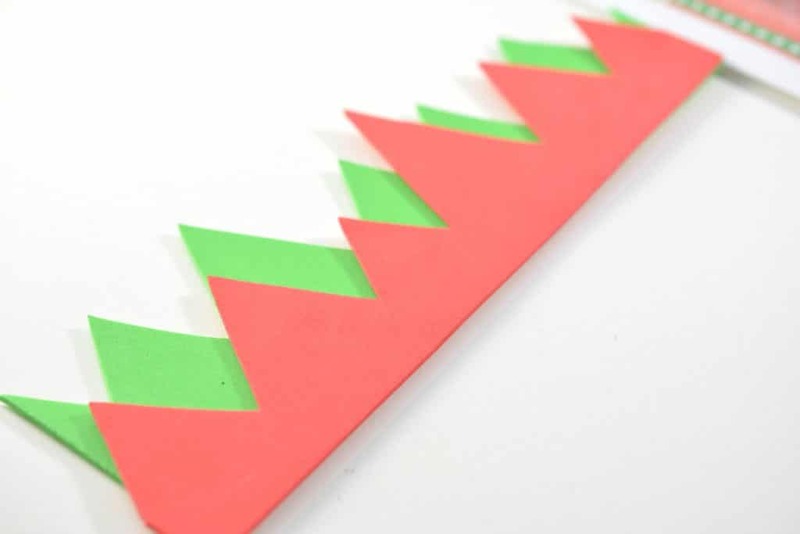 Draw triangles on the green craft foam where there are gaps from the triangles on the red craft foam. Again, you can view the photo for reference. 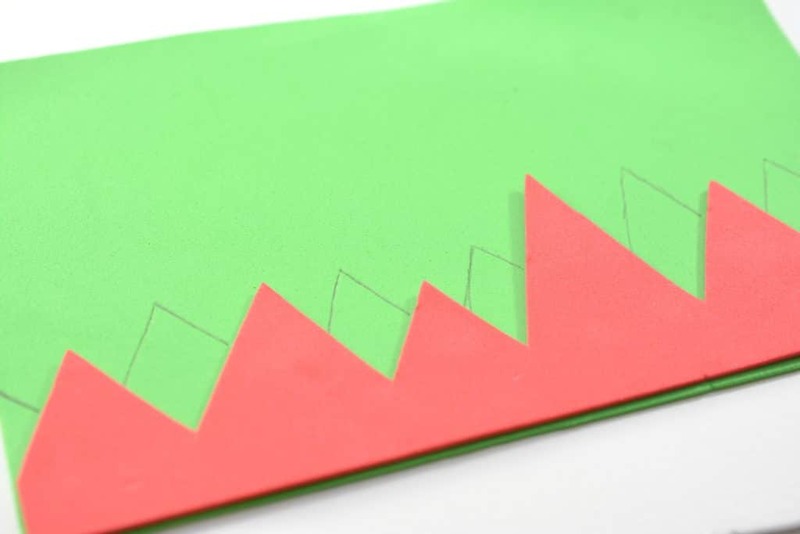 Remove the red craft foam collar, and trace the triangles down to the bottom of the sheet of green craft foam. 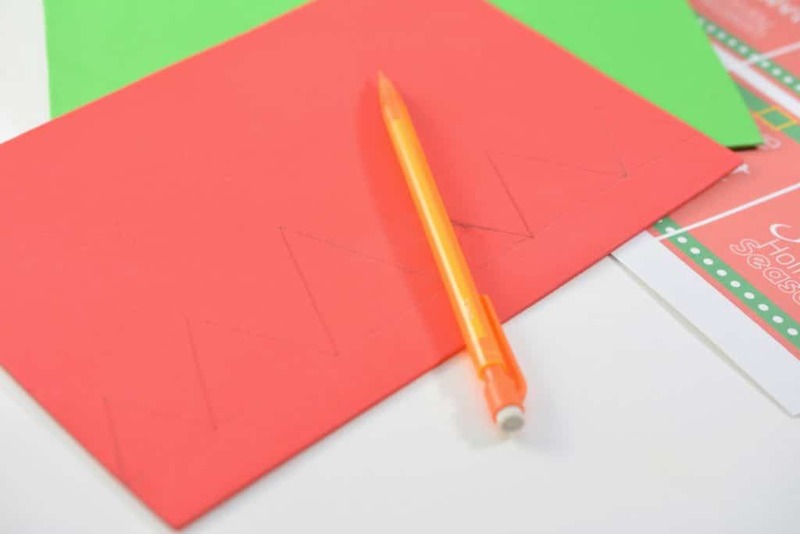 Cut out the collar shape that you have drawn on the green craft foam. Layer the two different colors of collars on top of each other, and secure with hot glue. Wrap the layered collar shape around the top of the wide mouth jar so that is lays flat. It is important to use a wide mouth jar, as a regular one will not allow the collar to lay correctly. Secure the collar to the jar with glue. 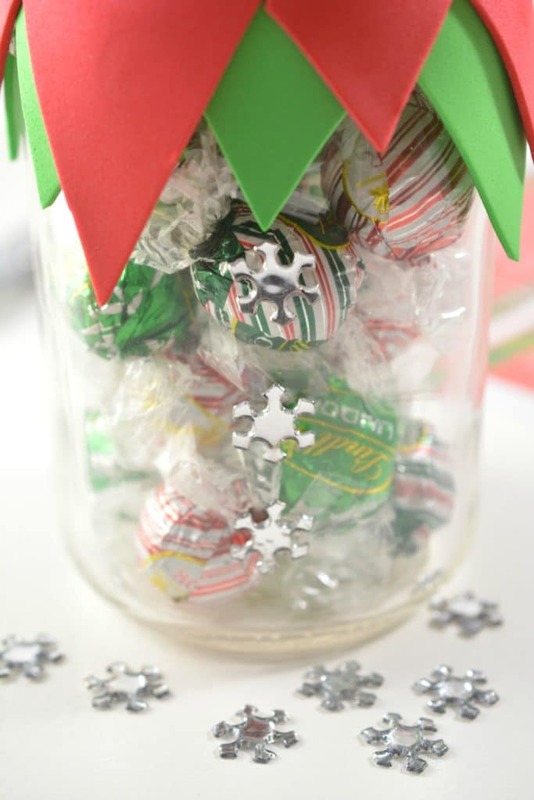 Fill the jar with red and green candies, and place the lid on securely. 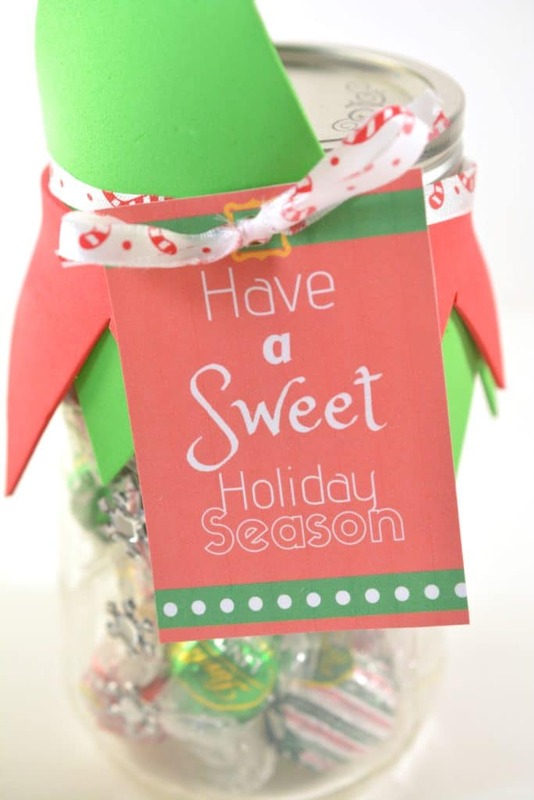 Glue three buttons or holiday themed gems to the front of the jar down the center. 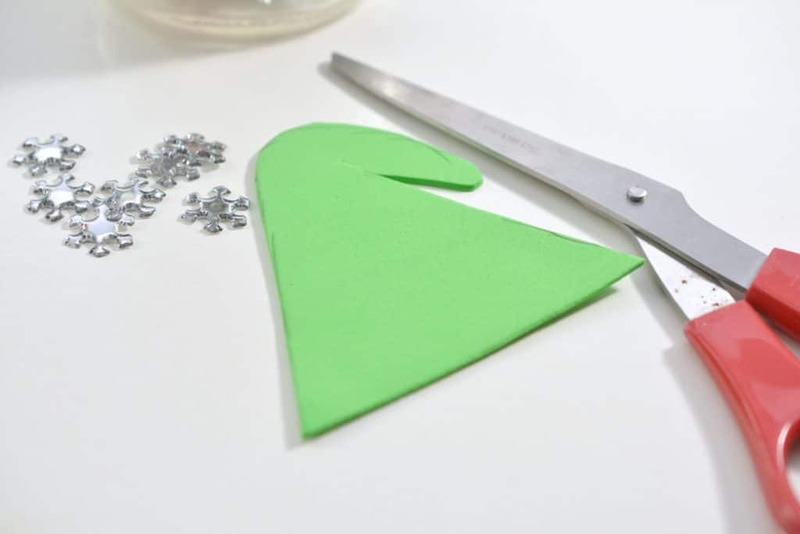 Cut out an elf hat shape from the green craft foam. Glue a craft gem, button or pom pom to the end of the tip of the hat. 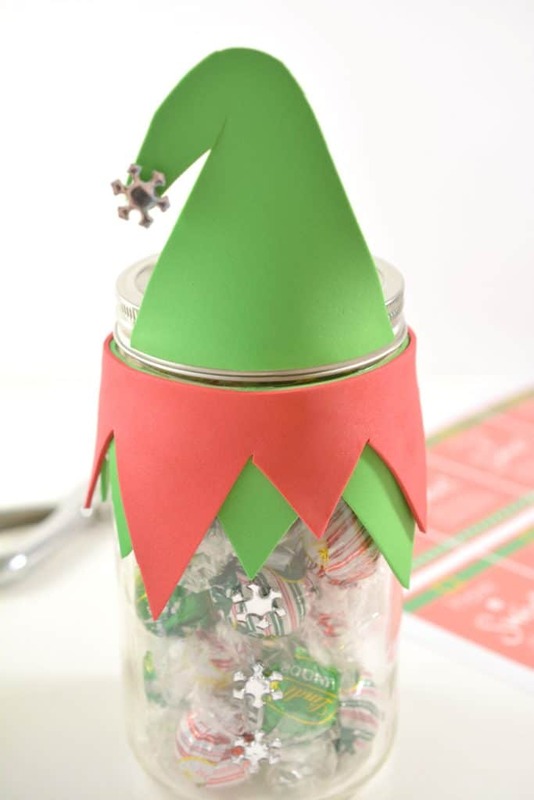 Using hot glue, secure the elf hat to the lid of the jar so that it faces the front. 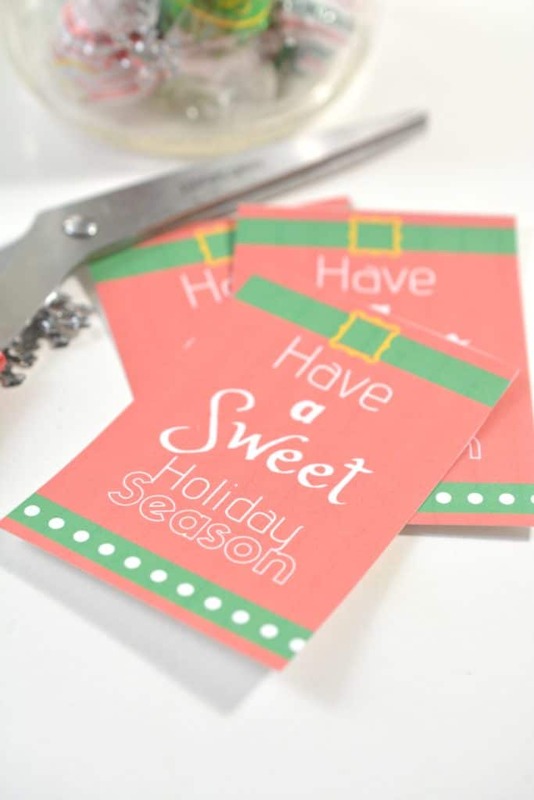 Cut out the printable gift tag. Punch a hole in the top of the tag, thread a piece of ribbon or string through it, and tie it around the top of the jar.